Below are just some of our outdoor furniture that we carry. The Curve Back series was designed for comfort. With its gently curved back and perfectly contoured seat, you are sure to find this to be very comfortable. Try one; you’ll love it! There is nothing like a comfortable rocker to take you back to the good old days. Enjoy the hickory rocker in poly or one of our beautiful wooden rockers. Whether you are wanting to entertain guests or looking for a special spot for you and your spouse, our Balcony Set will create an ideal setting. These chairs & tables are available at Counter Height (36″) and Bar Height (39″). Combined with our popular Fanback chair style, the swivel balcony chair is perfect for entertaining guests. The contours in the back of this chair make it one of our most comfortable chairs. These chairs & tables are available at Counter Height (36″) and Bar Height (39″). Our English Garden tables come in a variety of sizes, allowing you to choose the perfect size for your patio or deck. 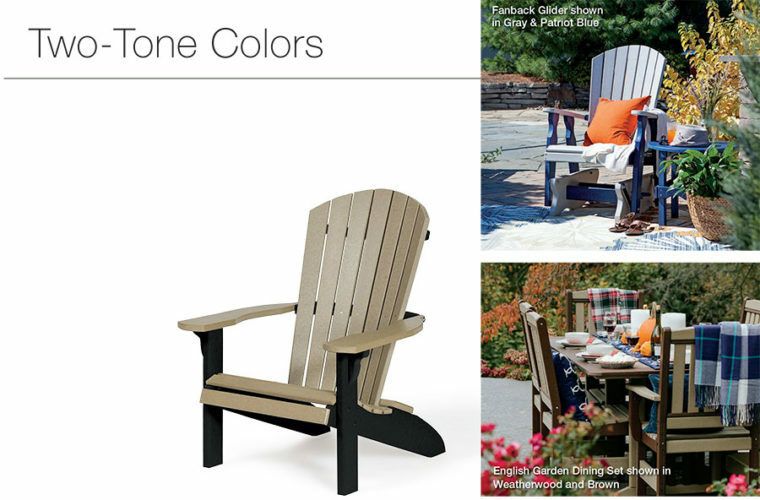 Our most popular chair is an ideal choice for your patio or deck. These chairs are comfortable and will make spending time with family and friends more enjoyable. Pair the Fanback Chair with a Conversation Table or Round Side Table for an even more relaxing experience. These chaise lounges are made for ultimate relaxation and luxury. Our lounges are spacious and comfortable. They come with added wheels making them easy to move around. 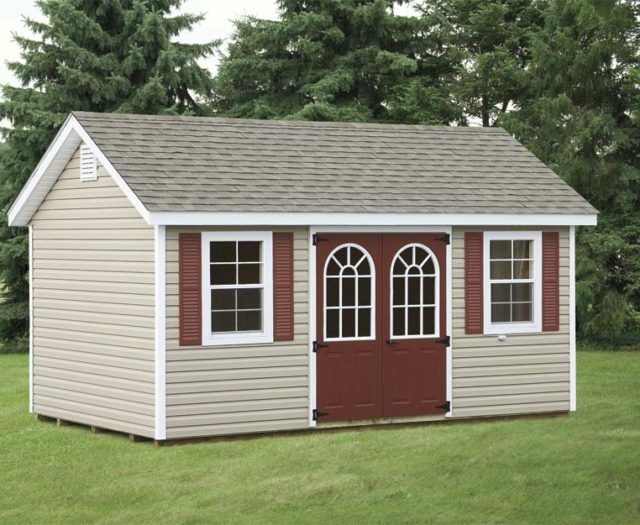 The Curve Back benches, swings and gliders are all available in 4′ and 5′ lengths making them ideal for any size space. 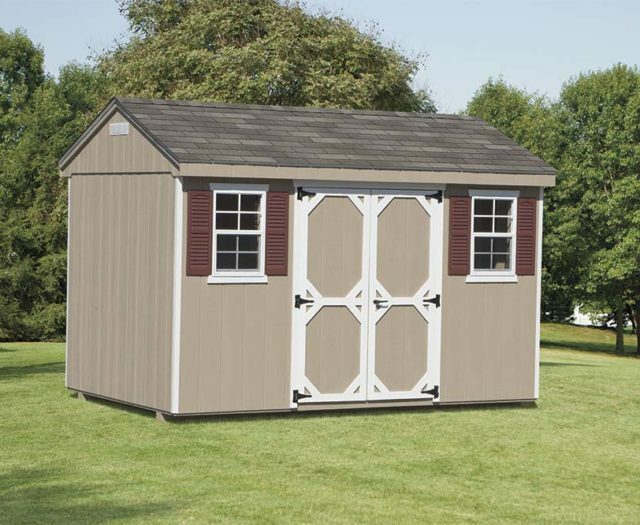 With it’s simple design and straight lines, the West Chester is ideal for any setting. The West Chester benches, swings and gliders are all available in 4′ and 5′ lengths. 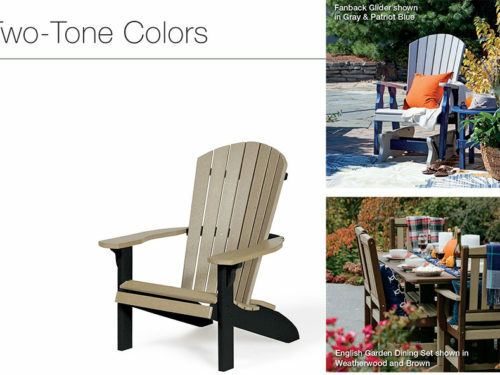 Drawing from the style of the Fanback chair, the Fanback swing and glider have a less sloped seat than the adirondack, making it easier to get in and out. Create the perfect backyard environment or entertain your guests in style with Leisure Lawn’s new island. Combine it with our barstools or English Garden chairs. 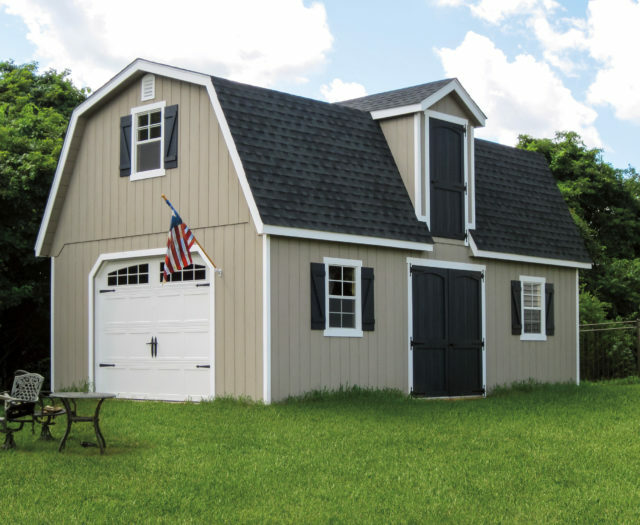 Leisure Lawns Collection has nineteen colorful options to choose from. 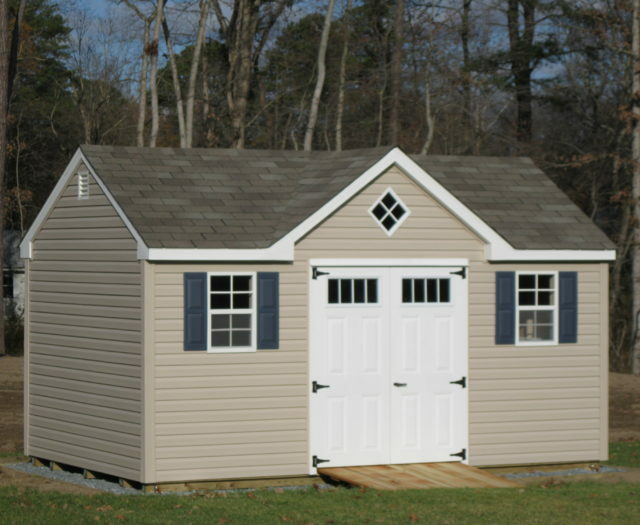 All of our products are available in all colors unless otherwise noted. 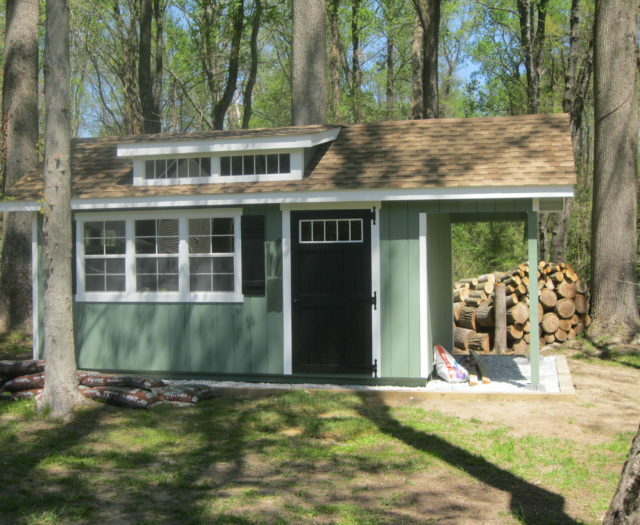 The Rustic Finish combines the look of natural wood with the quality and smoothness of poly. 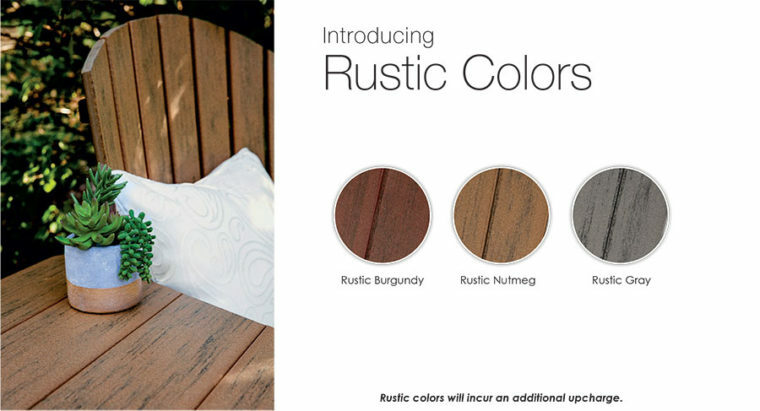 Available in three colors – Rustic Burgundy, Rustic Nutmeg and Rustic Gray. 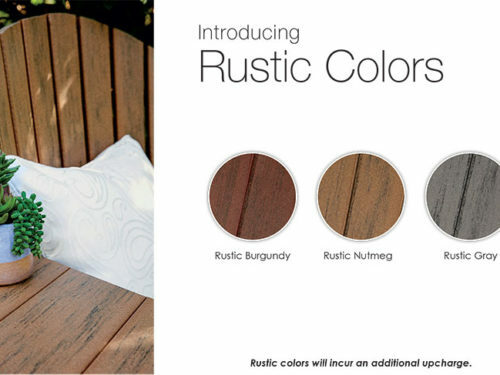 These rustic colors can be combined with any of our other colors for a beautiful two-tone color combination. 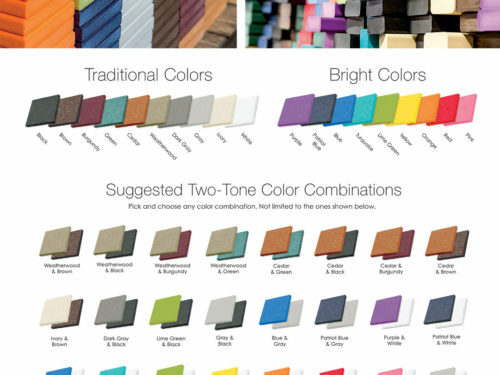 Combining just the right colors can create a special piece of furniture and our two-tone color combination possibilities are endless. 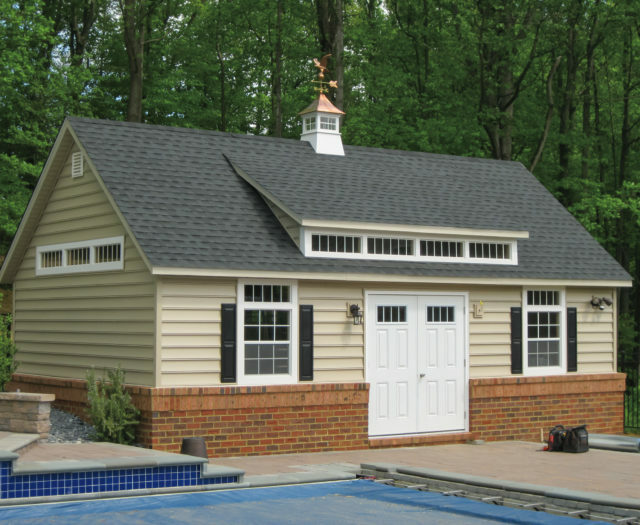 Whether its your favorite sport’s teams colors or simply the right color combination to match your decor, we can create a masterpiece for you. Choose one of our color combinations or create one that is unique to you! Choose a piece of furniture. 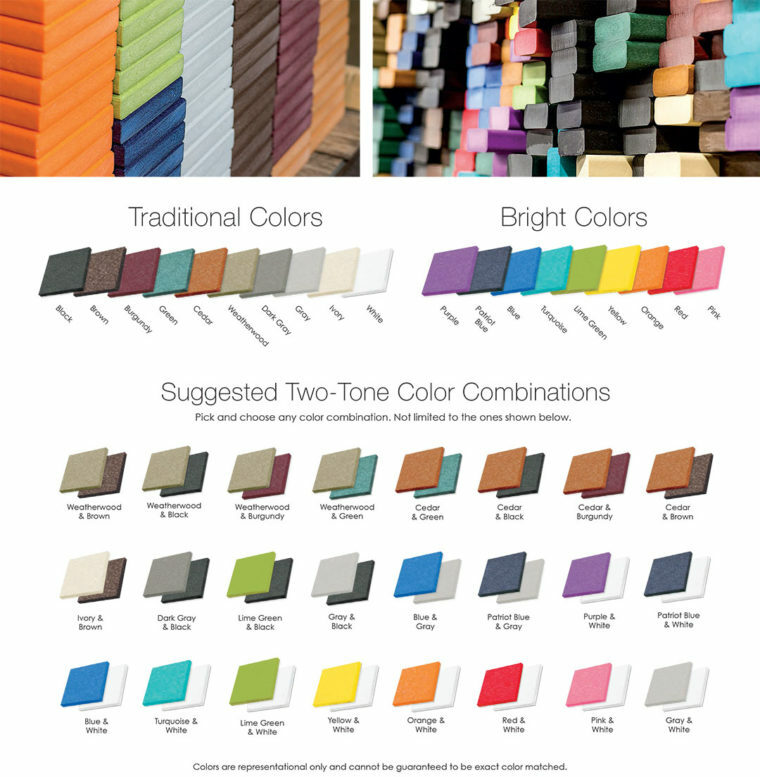 Choose your seat & back slats color. To view our entire catalog click the button below.